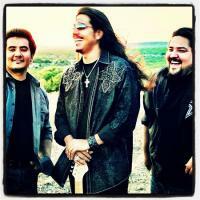 Los Lonely Boys help kickoff the Mesa Arts Center's 10th Season! By Colette Zaborniak, MAC communications dept. There’s something to be said for celebrating a decade. When you turn ten, it’s a big deal – you’re finally a double digit! And hey, being a single digit for 9 years can get pretty dull. So you can imagine Mesa Arts Center is pretty excited to be celebrating the tenth year at One East Main Street! Although there won’t be cake and presents, or Aunt Jill pinching your cheeks remarking on ‘how grown up you are’, there’s a lot more to celebrate at this year’s Season Kickoff Festival. need to work on your salsa, we’ve got you covered, because there will be lessons in Latin social dance from New York-based Latino dance company Ballet Hispanico. Then make sure to check out the new exhibitions in the Mesa Contemporary Arts Museum, three of which feature works from the collection of actor/comedian Cheech Marin. This tenth year at Mesa Arts Center is coming at you with custom low-rider cars and motorcycles, vibrant nonstop live music, plus live street artists and demonstrations! To add the cherry on top, local vendors are serving a variety of delicious food to refuel your dancing spirit. Don’t miss your chance to celebrate!